Over the years I have written many articles about a host of different issues from my experiences in business and on occasion felt the need to comment on significant society developments. The majority of these have involved the issue of people and has led me to research the issue of engagement of business with its people, which I believe is vital to our future interests. After much consideration, I decided I would present my research and opinions on the subject by way of a Treatise (essay). The reason not to publish through one of my normal channels (My blog). I felt that it was inappropriate and breaking protocol due to the length of the work I want readers to be able to absorb the contents at his or her leisure. Therefore it will be published under the web page Essays on my site. 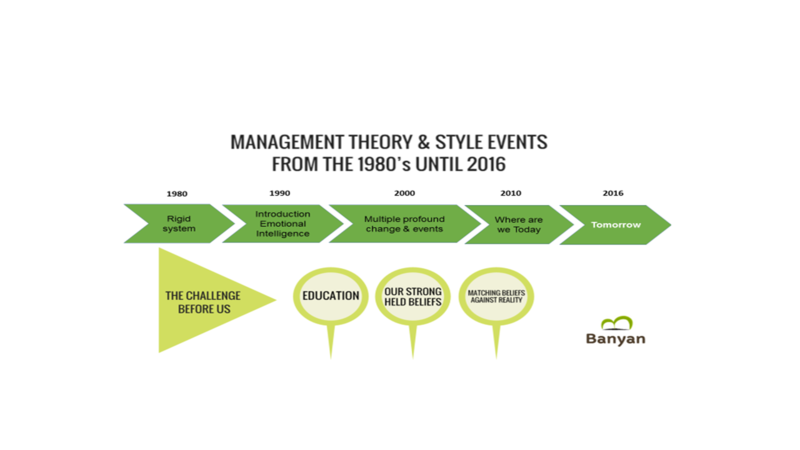 This essay will take the form of the examination of events of the last 25 years and the impact these have had between organisations and people, together with a view what we may expect in the future. I stress that this is my personal opinion which relies on over 35 years’ experience from a career mainly devoted to resolving people issues not apportion blame but to give a frank assessment how the events have unfolded. Change is one of the life’s inevitable truths, it comes to us personally and as a society as a whole. It can come in small increments or a massive departure what has gone before. The reality being there are those who embrace it and others find it daunting, the disruption it can cause greatly affects their lives. That speed can be observed from the multi and complex issues shown below. In terms of business, we have seen a range of structural changes with new industries emerging whilst other traditional businesses have declined. The demise of the manufacturing sector now only responsible for less than 7% of our Gross National Product (October 2016) companies electing to find cheaper alternatives in other more cost effective locations overseas. The emergence of the digital or information age has had a huge impact on how we work and live especially with regards to employment where there has been a seismic shift to new technologies bringing efficiencies to processes but also a negative effect on employment levels causing some society issues. Historically change has been recorded at rather sedate levels which most people have been comfortable and lived with. 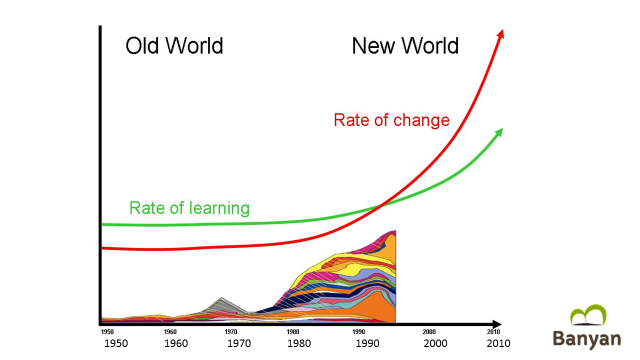 That has all changed in a relatively rapid period of time (less than three decades see below a graph). The main concern is that the unprecedented rate of change is not matched by our ability to absorb it. This is especially problematic for the older generations who are in some cases bewildered by how in their lives have had to deal with so much disruption and wish to carry on with their own particular ways and practices. Unfortunately, the stark reality is unless they can somehow find assistance to cope with this phenomenon they will continue to struggle in their golden years. It might seem harsh after living their lives building communities and societies etc. but the type of change we are witnessing shows no signs of respecting tradition and sentiment; it works on the principle of the greater good and implemented at a rate none could possibly previously conceived. It contrasts sharply with the attitudes of the younger generations who wholly accept that such change is welcomed and necessary. Hence we have a battle taking place where conflicting values clash and there exists a level of animosity and rancour towards each other’s perspectives… (See later in the essay for further comment on this). Returning to the topic of the digital age; without the doubt, its introduction to our daily lives has been one of the most profound events of the twentieth/twenty-first century. The further advent of computer technology, mobile phone and a swathe of other communication devices have altered the way we conduct business, learn and communicate.It is in this arena we are seeing the tussle regarding the merits of such technology when discussing human interaction. The questions being asked has it improved communication or has it lessened the traditional nature of dialogue to a more impersonal level with possible implications of misunderstandings occurring due to a perceived lack of direct and personal contact. There can be no doubt these sort of rapid developments will continue into the future. The Australian economy has previously mainly operated on a cyclical basis dictated through its export culture being dominated by the reliance on wool, coal, copper and iron ore. It’s boom /bust nature having caused dramatic swings, nevertheless, living standards have remained high compared to a majority of other countries. Until the early 1990’s Australia held a rather protectionist high tariff system regarding the importation of goods from overseas. This was challenged by the Hawke/Keating government who liberalised trade by reducing such tariffs to encourage more free trade. Doubts were being expressed at the time by the left side of politics, that this could have serious implications for the future of the Australian economy. The economy powered on for more two decades with growth in the range of 2-3% of GDP and was able to ride the storm of the Asian Financial Crisis of the late 1990’s a crisis caused by property speculation with its epicentre centred in Thailand, spreading to other countries in the region. This period meant continual rising living standards with high consumer and government spending taking place. Employment levels were at an all-time high with such states as Western Australia and Queensland experiencing shortages of labour and the price of housing rocketing to what seemed unsustainable highs. Some financial commentators sounded alarm bells that this level of spending was both dangerous for the individual and the country as a whole. Murmurings from sections of the general public also suggested they too were feeling a little uneasy and that the good times could not last and in fact, they could see the wealth gap was widening in Australian society. The golden nugget being the rise in the Chinese economy which was importing all the commodities we could export, of course,iron ore being the main prize generating billions of dollars for the Australian economy. This behaviour was also mirrored in the major economies of Europe and North America and when the crisis erupted very few could have imagined or were prepared for what was about to unfurl. The scale of the world’s financial crisis created a contagion probably never seen since the early 1930’s there has been a number of such historical instances and yet the system has somehow managed to survive but this one major event has altered the landscape. It has severely damaged the reputation of the free market in the eyes of the masses and remains largely unresolved. The after effects of the crisis are still very much with us today with many countries trying to extricate themselves from a morass that stubbornly refuses to yield. The World Bank in November 2016 has reported that world economic growth has in fact moved sideways a full eight years after the initial crisis. (A bit of trivia- In July of 2006 I was the chairman of a Leadership Group entitled The Executive Connection. At our monthly meeting we had a gentleman called Jonathan Pain come and present to us, he was a market analyst. His message was due to the overheating housing markets in both the USA & UK he was predicting a serious crash. The rest of course is history). At the time of the collapse apportionment of blame was quickly administered, banks, governments and corporations all felt the wrath of the population’s anger who conveniently seemed to forget their contribution to the issue due to excessive consumer spending. Loud cries for the curtailment of the free market were vaunted, financiers countering that the market would always correct itself and should not be restricted by governments. The evidence revealed that some of the trading practices of large institutions together with the borrowing of sovereign nations were so unethical it was unavoidable that action would have to be taken. One could argue this one catastrophic event in one fell swoop has been one of the main catalysts for the alarming breakdown of trust we have today. Unfortunately many reputable organisations have been swept up in the mayhem that has occurred through no fault of their own and several years later are still trying to undo the damage sustained regarding Engagement and their people. For Australia the effects of the GFC came later to our shores we were thankfully not as exposed to the huge debt levels seen in most western countries, our debt ratio of around 12% of GDP was seen to be acceptable whereas other major economies (including the USA) were experiencing many multiple times that figure. Although this inevitably meant reductions in jobs in certain sectors causing much concern to Australians. This coming on the back of structural change brought about through the expansion of Globalisation. As mentioned earlier this hastened the departure of many mature industries to our shore. We also saw the employment market turn from full- time work to a significant shift to a part- time /casual model as companies reacted to rising foreign competition. What has followed had been a struggle for economies to reignite international trade highlighted by the slowdown of the Chinese economy, our largest trading partner. To date, we have been able to maintain a modest level of growth but the feeling the world could be close to entering into another recession is being mooted by some analysts. They effects of the GFC and Globalisation may yet have further momentum as the mood of protectionism is openly discussed by significant leaders including( President Elect Donald Trump, November 2016). As mentioned in the introduction of this essay the last two and a half decades have been dominated by the dawn of the digital or information age introducing technologies that have transformed lives bringing with it monumental change with good and not so good consequences for all who live on planet earth. Starting with the introduction of the World Wide Web linking a network of computers around the world brought to us a new way to communicate this has been quickly followed by the invention of a number of digital devices such as mobile technology which now has taken over as probably our main tool in communication with an array of others continually being developed. The ability of people to express their respective opinions has been the main contributor to massive social change of the last two decades creating options to raise many diverse issues which ordinarily would not have previously heard. Most people in the world would applaud free speech and expression, after all, it what democracies have fought and worked for centuries. Nevertheless, the side effects of this development have brought some serious issues to the surface. These being that the huge traffic which is being generated by the channels delivered through social media are often grounded in opinions and not necessarily factual. There are no boundaries to control any aspect of content and results in its ability to move public opinion even though this information may have no basis in fact. The potential for misunderstandings both in the workplace and elsewhere is of great concern. The growth of media, in general, has been a double-edged sword for organisations in terms of engagement of people and their business. On one hand, it has afforded them greater opportunities to market their products and services on the other hand, unfortunately, it can be used in a manner to sensationalise issues affecting your people and damage morale and reputation. There is a tendency for it to emphasis to be on either speculative or negative storylines. The change in thinking today is reflected in how we now view authority. Until now the convention has been to follow the doctrine as far back as 1762 called “The Social Contract” (Jean-Jacques Rousseau) where he proclaimed a clear distinction between the individual’s freedoms and the power of the state to make laws. The principle has stood the test of time, but we have seen a dramatic change. Current thinking and behaviours suggest the individual feels it is his right to challenge laws and authority posing a major challenge for government and organisations as it appears the so called contract is severely fractured. Another notable social change that has taken place as a consequence of increased living standards we have adopted much more leisurely pursuits which are claimed to have lessened our focus and motivation to work. This change is profoundly different as it was expected by employers that the major emphasis of our lives should be our work. At this present time, Indications of frustrations and discontent abound as large sections of populations (including Australia) and around the world claim to have been left behind economically as discussed above. It seems the effect of so much change has marginalised their lives and unfortunately these voices are getting louder in protest. The facts are we still are experiencing sentiment from certain parts of the community that we can and should return to how things were the past. This is a difficult issue to resolve and the people who are advocating this course of action must know in their hearts this is not at all possible. It is well documented that engagement levels in many countries have dropped alarmingly, here in Australia we have recorded one of the worst set of figures we have registered in decades and it may reflect some of the factors mentioned in this essay, perhaps we should not be surprised. What seems to be common in the correlation of these figures as one of the main issues is the deterioration of trust between the parties caused by the events in our recent past. Many employees have reacted adversely to the changes by the adoption of structural change where as well as reductions in the amount of people employed in organisations; the nature of employment has altered from full-time work to a part-time casual basis causing unease about their future employment. The contraction of employment levels caused by the above structural change, financial crisis etc. has raised heightened tensions in the remaining workforce who claim to have come under increased pressure to accept more tasks with fewer resources. This is especially being felt by managers in organisations who are feeling the burden the most. A combination of increased workloads, the feedback being received is that they are having difficulties in handling their respective charges as employees become more vocal and demanding. Complaints are being received from managers they are in need of more skills training to equip them in what they perceive as a completely different environment as before. 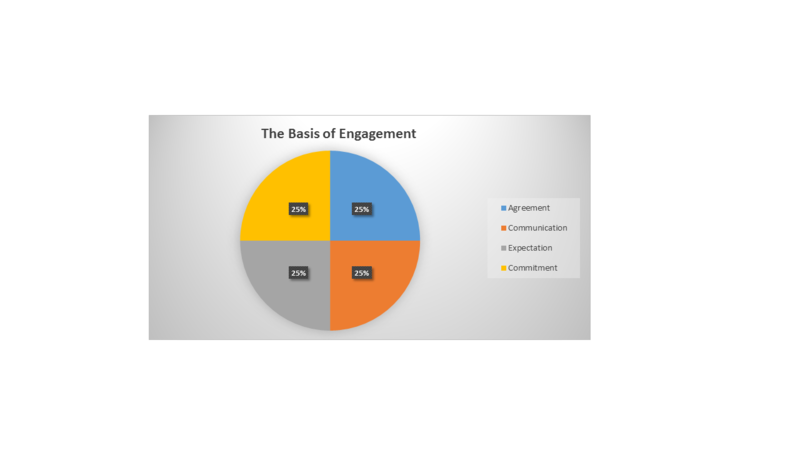 An example of this I visited a relatively large manufacturing company in the south of our state (S.A.) both leaders and managers were given the opportunity to discuss the issue of engagement. What was evident from those discussions that the management and motivation of people were high on the agenda of the degree of difficulties being experienced? The largest echoed concern came from those managers who expressed real deterioration in the relationships with management and their charges. Feelings of the need for an improved level of communication with their immediate bosses was mooted. This is only one of a number of reactions I have received in the course of my work and research. There is strong evidence to suggest where organisations have implemented a sound communication system better results are achieved any doubts about intentions are explained thus removing doubts which might turn into speculation through other channels. Of the period under discussion, Leadership can be identified as one of the issues which had undergone significant change and today is constantly evolving. Numerous theories have emerged and which version is the boilerplate solutions for all organisations. Of course, it is much more complicated than such a statement, leadership has had to evolve to match the times and conditions. One can see the issue has gone through several iterations starting from the 1980’s until today. Changing viewpoints from such authors as Daniel Goleman who wrote his seminal book “Emotional intelligence” and latterly Daniel Pink’s “ A Whole new mind” and “Drive” have introduced the notion that there will be different ways that businesses manage their human resources in the future and those systems will evolve to make better use of people’s talents and abilities. A great deal of investment has been made in personal development for senior leaders and there is no doubt this has altered how they better manage their businesses. In mitigation due to some major events mostly beyond their respective control leadership has seen widespread collateral damage with leaders suffering a drop in respect by no fault of their own. Although some further new thinking may be appropriate, the cacophony of what is called the modern day “populist” movement has become a major problem, assuming that organisations can solve all of the problems that confront us today, the plain truth they can’t. At the same time it has to be said that sections of the business community have failed to come to terms with the amount of change that is facing their companies and refuse to alter course in their respective strategies citing that this has been the way it has been done and they are resolute in their opinions rather than change. The prospects for this unyielding stance I am afraid will ultimately fail, the way business operates today does not allow us the option to stand still, regardless of what deep-seated feelings we may hold, adjustment and compromise must be considered. As discussed above the position and relationships of managers and their immediate bosses seems to be under threat with many commenting they have felt in recent times a lack of understanding of the pressures that they operate under since the accumulated changes have taken place. The implication of this could mean individuals may be reluctant to accept management positions in the future due to perceived lack of support. One of the key issues which are being played out is the tussle between the older and younger generations who are seeming cannot seem to agree how to operate in business, major division is still being felt. Although most of the hype regarding the fabled Y Generation has subsided, the millennials are now the focus of attention. It sometimes escapes attention that the next transition of generational change comes in just six years (2023) when the Baby Boomers are scheduled to begin leaving the workplace, the question of how we can transfer vital intellectual property and skills has yet to be resolved. The hope should be that we might yet reach a compromise and a “meeting of minds” to eventually reach a workable transition. Leading an organisation today is no mean feat, the skills required are many and diverse with various stakeholders one has to accommodate; the trend is for tenure to be increasingly short around three to five years. Building a team with requisite skills is essential, understanding how people act and respond has never been more important than it is today, without the support and engagement of your people your business is likely to have a very bleak future. In this essay, I have pinpointed a number of key issues which may be considered as reasons for the drop in engagement levels including the rate of change itself, economics, social behaviours which have undergone significant movement but I strongly believe the convergence of all of those factors rests with the Global Financial Crisis of 2008. In my opinion, the G.F.C. broke the waters of the dam not only for us in Australia but around the world its effect on social norms and structures has gone way beyond anything we could have envisaged. The heady days of such phenomenal sustained growth in our finances came to an abrupt end although our saving grace the pain to be felt was not immediate. The meltdown of the world financial system has come at such a huge cost to the relationship between people and authority. The collective effect of the event was to set off a chain of actions where our once eternal optimism dimmed and was replaced with a mood of pessimism which still grips us today. One could place the onus on politicians, financiers, media and ourselves but as I said at the beginning of this essay it is not my place to inflict and apportion blame, it is history and time would be better spent in looking to the future. Regardless of the depth of feeling which is currently reverberating around the world about returning to a time of old traditions and practices that were once employed I am afraid is pure fantasy, Pandora’s Box cannot be resealed, the changes we have seen and implemented are irreversible that applies to all facets of our society including politics, business and for the individual. The likelihood of resolving some of the issues that have emerged such as rebuilding trust on a global scale is probably unrealistic, given the divisions that now exist. What seems more than possible is for organisations to concentrate on their own sphere of influence in their own space. Evidence that those companies who have gone down this road continue to be extremely successful. The disposition of people has changed and cannot be guided or controlled in the manner of the old hierarchal system, any new structures will need to involve a high degree of collaboration. The various tools of communication and expression that have been introduced are so powerful one cannot imagine a future time when they can be halted or abated. So It will probably come as no surprise my thoughts drive me to conclude that the only option is how we work with people, the term manage is today an oxymoron. To get the best out of people is about reaching an understanding about your joint aspirations and how you can collaborate together to achieve your respective goals. How many times have you heard the phrase “People are our greatest asset”? Our reality is we need to be cautious using this unless we are committed to the principle, it is worn and hackneyed the intended audience will dismiss it as more rhetoric. It can only receive support when actions are backed up with genuine belief. History tells us some organisations have half-heartedly implemented engagement plans only them to dissolve when things get tough or uncomfortable. The principles to be followed in the development of any engagement plan should have four elements. Before any plan can be established an organisation needs to understand where they are at that very moment, the question can be posed “Do I know the state of my company moral with my people, can it be improved”? First of all, it has to be practicable most companies here in Australia are not the size of Google Or Microsoft they are SME’s who do not have the resources for what are called “ the shiny things”, evidence suggests they are the not a priority of people. Caution should be exercised went setting out what time frame can be expected for results to be achieved from such a plan; progress tends to be in small increments, to begin with, small gains are more realistic. No plan can exist without having measurement otherwise why implement it in the first place. Lastly, any plan much is part of a long-term plan which becomes the D&A of an organisation. My research tells me that managers feel under increased pressure having to deal with an avalanche of questions, issues and approaches from staff.They feel they are not sufficiently equipped to deal with some of the situations in human relations matters. With the explosion of social media, there could be a tendency for ill-informed comments distributed about your organisation from outside sources. Make sure that any communications with outside agencies and to your staff are of a factual nature, this removes any opportunity for misinformation to be given prominence. Establish a communication platform where all parts of the organisation have an opportunity to communicate and discuss matters that concern them thus introducing a team element into operations. Your managers should be seen as very powerful enablers, their relationships provide them with the opportunity to influence and motivate staff together with reading the mood and morale of the organisation.Leaders need to ensure they engender a strong relationship with regular meetings to exchange points of views and progress of key strategies. How do we tackle improvement? It is important that we now look to the future, what are the upcoming challenges we will face and the essential elements needed to re-establish improved levels? The model of engagement in a very short space of time (2023) will have to evolve into one that takes into account the retirement of the Baby Boomers and the entry and elevation of a younger workforce, this will need to take into account the changed work practices which we are seeing, values, aspirations and motivations. 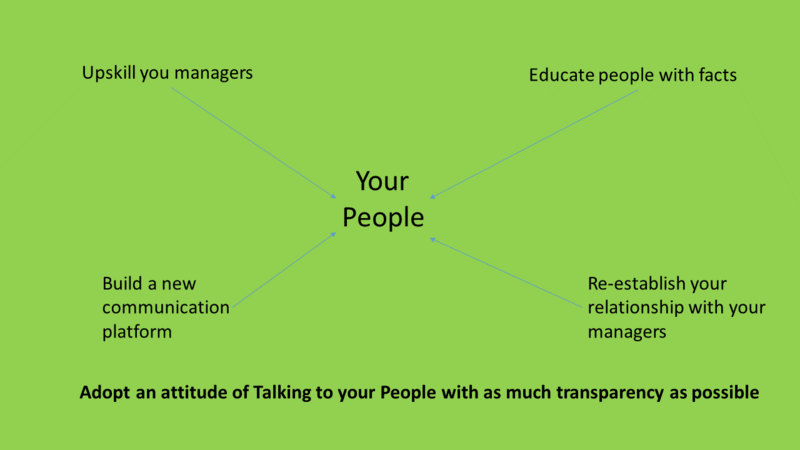 The overriding principle to be implemented is leaders must commit to talk to their people. Of all the measures that may be considered this has to be the number one priority, it is absolutely crucial. No one can comfortably predict what further change we can expect or what direction our economy will take in the next few years such is the volatility of world events but it will be important for organisations to try and capture trends and be able to communicate with your people about matters relating to your company involving the good and the bad reflecting the willingness to be open and build trust. Taking a pragmatic approach I would put forward the proposition that before solid engagement can only be achieved when four conditions are present. The dramatic changes we have discussed in this essay have led to people taking their own positions, attitudes and displaying particular behaviours to the new circumstances. For leaders, it has been a mixed bag with a number accepting the way they have to lead their respective organisations to reflect changes in economic conditions, technology and social trends. Parts of the older compliment of leaders have expressed difficulty in coming to terms with this new world, showing dissent and make comments such as “I have been doing it my way for 30 plus years and I am not going to change now”. One might have a degree of sympathy regarding this stance if you have been operating in such a way over that time. We see many such leaders deciding they cannot accept this environment and operate in a manner which will inevitably cause the organisations problems as the environment moves around them. Others are either stepping down or putting in place a succession plan. Nevertheless, this attitude cannot be sustained due to the speed and depth of what has and is happening. It will have a major bearing on successful engagement. From an employee perspective, their challenges are similar in that they have had to experience cutbacks due to the increased competition, the introduction of new technology has meant fewer resources and increases in personal workloads. It is hard to see that this environment will not change in our future, therefore, it will force employees to make a personal assessment on their own careers and future. Without some sense of acceptance or adjustment in attitudes and behaviours by all parties, it is extremely doubtful strong engagement can occur. The advent of technology in such a short space of time has been breathtaking allowing many to participate and connect. Of course, some of the practices have diminished including the one to one conversation which has been lamented. Other such developments as the exchange of conversations and views from social media have grown into massive avenues of expression unprecedented in our history. Delivery of information is exchanged in seconds allowing every minute of the day constant dialogue between individuals and organisations across the world. What has emerged that today people demand answers to their questions from people in authority including politicians, companies and other institutions? It is no longer acceptable to withhold information which they feel affects their interests. With regard to companies this has meant a push for more transparency and is partly to blame for the breakdown of hierarchal structures, it has become increasingly difficult to convince people of true intentions unless the questions being raised are answered in a timely fashion. Organisations who are accused of holding information from their people are penalised and will result in a further lack of trust and possibly loss of staff to other competitors. The absence of a good communication platform is a dangerous omission for any organisation, it is really not optional. One of the aspects of the change Australians have gone through in recent times has been a growth in living standards, probably one of the best in the world. The pace of life has quickened with seeming demands from the population of the resolution of personal outcomes whether is the need for immediate consumer gratification or the expression for change to be effected to suit their own particular point of view. The pressure on organisations to meet these expectations are proving difficult to meet especially when companies are coming under pressure economically. The challenge for leaders is to understand how the landscape has changed substantially with people’s motivation altering dramatically. This will continue as the younger generations integrate into the workforce. This new found wealth that offers people a life which provides them with opportunities to be engaged in a broader set of activities rather than just work. People’s view of the increased workloads and stress of modern life have evolved into a different view of how they aspire to live which is not congruent with that of many companies. Unless there is an understanding between the two parties that not all expectations can be met immediately improved engagement cannot be achieved. To arrive at the assumption that to implement an engagement plan can be a one hit masterstroke is a long way off the mark. In fact, it is just the start of a perpetual journey one has to take to achieve success. The elements mentioned above have to be the aims to strive for. Half-hearted short term efforts will surely fail whilst those who are truly committed to establishing long-term engagement will be rewarded. If employees are genuine about achieving better engagement in their respective workplaces they need to study their own behaviours and attitudes to determine if they are willing to play their part, the choice must be truly theirs. I think we can comfortably predict that we will see continued change in our lifetimes probably at a speed that has resembled what we have witnessed in at least the past two decades or even faster. 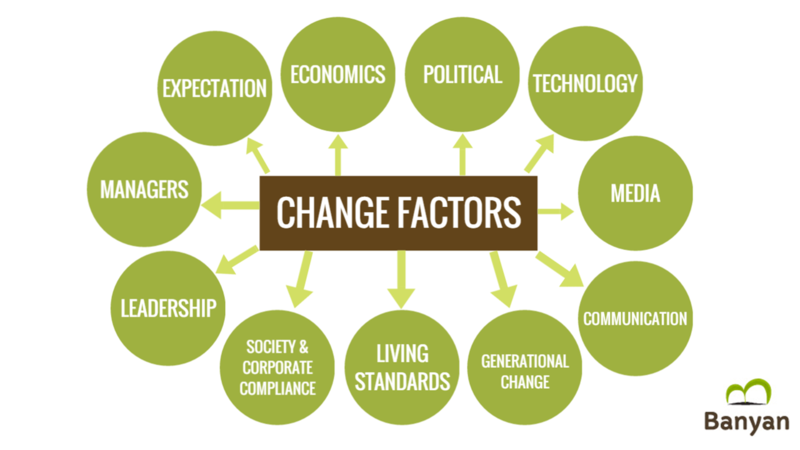 What is more difficult task will be to predict the attitudes and behaviours of people to future change. The upcoming generations have expressed their ideas regarding how they want to see the world develop, collegiality, collaboration with little or no hierarchy. It remains to be seen if that works in real life when they take over senior positions in business and life. At the beginning of this essay, I explained that this would be an opinion piece. It does not matter if you share or disagree with its content and the sentiments expressed therein. What does matter you have a view on probably one of the greatest challenges we face not only in business but also as a society as a whole, how do we deal with each other as people. Although it is essential that we maintain optimism about improved engagement in the workplace we should not be blinded to the fact that today many forces can work against it being achieved.In the final analysis, it will come down to how much we really want it and how much common sense is applied.